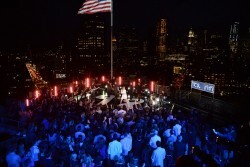 You are here: Home / Celebrity Events / Taylor Swift Rocks ‘1989’ IHeartRadio Secret Sessions NY Concert – Pics Here! 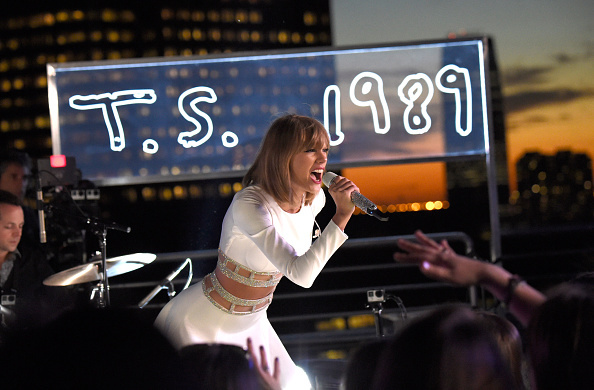 Taylor Swift Rocks ‘1989’ IHeartRadio Secret Sessions NY Concert – Pics Here! Taylor Swift is riding high on a wave of success from her newly released album 1989. On the evening of October 27th, Taylor took to the stage to celebrate with some very lucky fans at the iHeart Radio 1989 Secret Sessions concert in New York. Taylor looked radiant in white as she sang songs from her and album as well as her hits to the excited crowd. « Zendaya Coleman Gorgeous In Green At ‘Good Morning America’ – Pics Here!